Bakeyah Nelson, executive director of Air Alliance Houston. 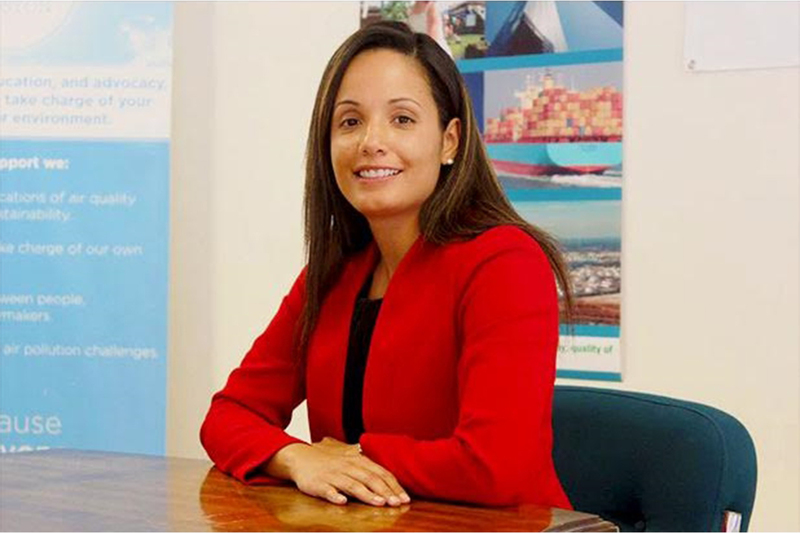 Bakeyah Nelson, executive director of Air Alliance Houston, was born in South America and grew up in Silver Spring, Maryland. Her path to Air Alliance follows the trajectory of her education in many ways. She graduated from the University of Maryland, Baltimore County with a bachelor’s degree in psychology, where she learned that people often have to work around the system, such as taking part in research studies, to get the mental health care they need. This led her to pursue a master’s in sociology and Ph.D. in public policy as she thought more broadly about how external factors and policy impact our environment, our experiences, and shape our individual decisions. 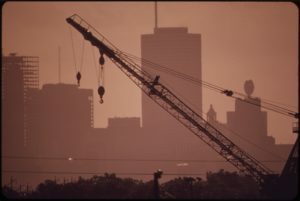 Images of smog such as this one used to be common place in Houston, thanks to Air Alliance and other environmental groups this is changing. To track daily changes in Houston’s air quality check the Houston Clean Air Network tool online. Click here! In this video a Houston History student explains what it is like to live near Houston’s refineries and the effects that this has on people’s health and safety. This CCTV video reports on Houston’s pollution problems caused by the oil refineries in the area. According to them, Houston ranks number eight in the top ten smoggiest cities in the country.